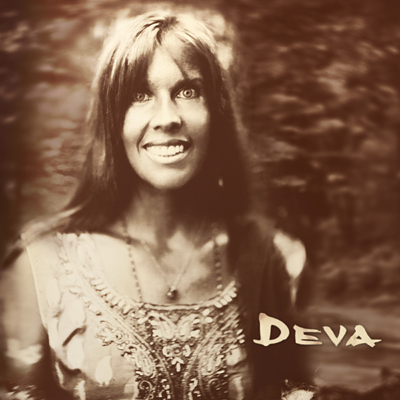 DEVA, the new release from Deva Premal, is a calling – beyond the chattering mind, the heaviness of the heart and the numerous distractions of life, into a place of refuge and conscious relaxation. The album opens and closes with a spell-binding long form version of Deva’s beloved Gayatri Mantra – the Seven Chakra Gayatri illuminates and harmonizes the seven chakras and blesses the seven realms, from the earth plane to the abode of supreme truth – a deeply relaxing mantra sound-bath for body, mind & spirit, ideal for meditation & slow yoga flows. On the journey in-between, Deva’s golden voice, carries the listener through a light-filled sequence of chants including: Sarva Mangala, celebrating the Sacred Feminine; Prabujee, composed by Ravi Shankar and featuring his daughter Anouska Shankar on sitar, this is a prayer to Prabhuji – my sweet lord; Buddham Sharanam, the classic prayer from the Buddhist tradition offering a deeply meditative moment to bow down in gratitude to our teachers, community and inner practice of meditation; Mahamantra, chanted all over the world exalting the sweetness and pure love of Krishna and Radha – the melody came to Deva from Manose’s aunt in Nepal where he chanted this as a child; and Vakratunda Mahakaya, an invocation to Lord Ganesha, the Revealer of Possibilities, the Remover of Obstacles. The mantras are embedded inside a musical landscape created by producer Joby Baker‘s sensual groove based instrumentation, with soaring flights from bansuri maestro Manose, plus an original composition from Deva for the Seven Chakra Gayatri. DEVA closes with a return to the Seven Chakra Gayatri Mantra, which asks for the enlightenment of all beings – a sound healing for us all, leading us deeper and deeper into a space of inner peace and transformation.